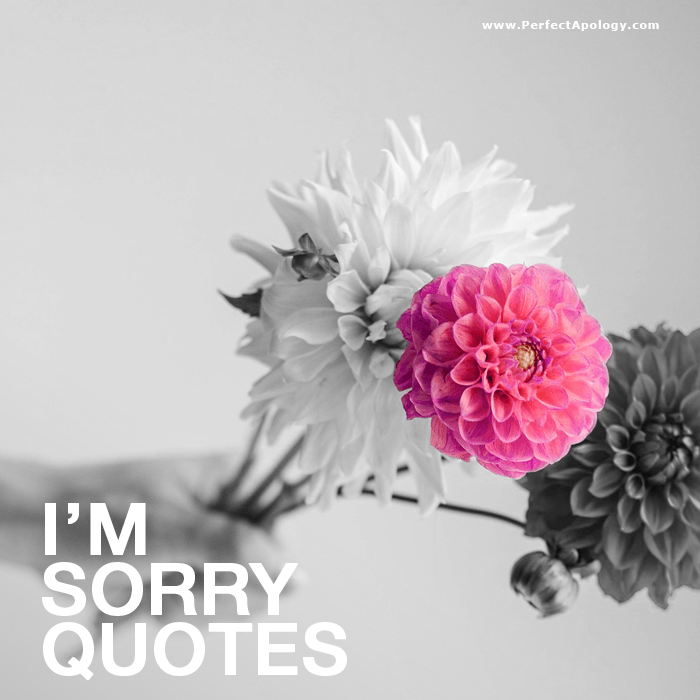 I'm sorry quotes can help enhance an apology by emphasizing an important point that you're trying to make while saying you're sorry. Maybe you find it hard to apologize or just can't put into words what you really want to say. These quotes will help. They cover the more common approaches a sincere apology should take. A perfect apology always requires that the majority of it be in your own words and tailored to the recipient and the situation. Using quotes in apologies, whether they be verbal or written, should help convey a single idea or concept—making the apology more profound or heartfelt. They will enhance your apology and show the recipient that you have given a great deal of thought to the situation by taking the time to find a suitable quote that expresses your sentiments or how you feel about the situation. Apologizing and saying sorry is a part of every healthy relationship. We're human, we make mistakes, even in our closest relationships. will help the recipient understand, especially when it comes to love, that you're sorry and want to move forward. And, that whatever happened doesn't change things, it's just a slight detour. If you're looking to have an open discussion, or are getting the silent treatment from the person you hurt then add this quote to your apology. It tells them that your relationship is too important to not talk things over and that you want to talk things through. If the hurt you caused was the result of your being insincere, presumptuous, or otherwise thoughtless (we're pretty sure these are most often used by guys) then these quotes may be suitable to your situation. And if you've acted like a fool and are feeling ashamed, then use this quote by Shakespeare to convey how sorry you are and that you're aware of your poor behavior. It was once said that "love means never having to say you're sorry". Wrong! Apologizing to someone you love is a part of loving them and our dozens of pages of apology love letters are all the proof we need. “We must develop and maintain the capacity to forgive. He who is devoid of the power to forgive is devoid of the power to love. There is some good in the worst of us and some evil in the best of us. When we discover this, we are less prone to hate our enemies. ~ Martin Luther King, Jr.
Trust is often an issue when we make mistakes. Forgiveness is also often dependent on trust. So think about adding something to your apology that explains the importance and risks involved in trusting someone instead of using a typical sorry quote. 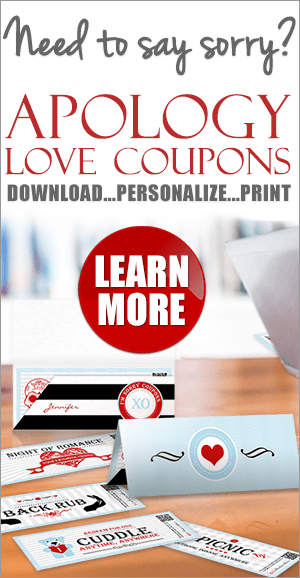 “Mature love is composed and sustaining; a celebration of commitment, companionship, and trust. ~ H. Jackson Brown, Jr.
Use quotations to support your apology, what you're thinking, or what you have to say. Stay away from the 'I'm sorry quotes' that apologize for someone else's mistake and are appropriate to someone else's situation. Quotes can be an effective tool for saying sorry but make sure that you use them wisely. See our list of quotes on being sorry and our collection on forgiveness.